In a new addition to his "A to Z of theory" series, political theorist Andrew Robinson introduces, in a two-part essay, the ideas of Aristotle, one of the most important thinkers of all time. In part one, Robinson introduces Aristotle's political, ethical and philosophical outlook. Aristotle is one of the best-known ancient philosophers. His works remain widely taught in philosophy and political theory, usually as part of introductory programmes. Like many theorists, his relevance to, and distance from, the present is downplayed by this usage, which renders his thought inert as a part of a canon. He has gained this status, like many others, mainly by being a ‘dead white European male’. But he is not, ultimately, a figure of the modern European world at all. In thinking about his relevance, it is important to move beyond his embalming in the dominant tradition, and think about his resonance with later issues, the problems with his work from a later perspective, and the influence of his particular context on his work and reception. Aristotle’s political works only make sense within their broader philosophical context. Aristotle believed that nature is a harmonious order. It is a rational, orderly whole. Everything in it exists for a purpose. For instance, the eye had the proper function of sight, a knife is made for cutting, and so on. He also claimed that other species existed to serve humans. He believes that everything has a universal essence or form, but that this is instantiated in a substance which is necessarily particular. In contrast to Plato, he believed that the essence resides inside each particular object. He is also a teleological thinker. He believes that everything has an ultimate goal or ‘end’. This is derived from a cosmology in which nature is assumed to be in equilibrium. He also believed all motion in the world to stem from the process of becoming-actual of potentialities. Things have both a matter (the substance of which they are composed) and a form (which shapes this matter for a purpose). Until it is acted on to make it into a form, matter contains only the potentiality of form. Actuality is realised from potentiality in activity: something becomes actually a plant by doing one of the things which plants do. The process of actualisation causes both activity (energeia – putting to work) and the unfolding, becoming or development of an entity (entelecheia). Activity bridges the gap between the goal and the potentiality of matter. Becoming precedes being in existence, but is pulled towards being as a goal. For his political thought, the main relevance of these categories is how they relate to the essence of being human. However, it should be remembered that he applied these categories actively, across a wide range of topics. The divisions between philosophy, science and the humanities had not yet formed in Aristotle’s day, and his works cover topics ranging from physics to ethics to poetry. His scientific works are primarily qualitative, and similar to his political works in trying to deduce a timeless natural order. In practice, he spends a lot of time classifying things and drawing up lists – of groupings of animal species, of virtues, of elements of tragedy, of chemical elements and so on. Aristotle’s method consists in looking at the way things are, how they operate, in order to determine their purpose or ‘end’. It is strongly inductive – what we would today call empirical – but based mainly on initial intuitive appearances, not for example measurement. Aristotle is unapologetic in deriving ‘ought’ from ‘is’. The particular purpose of each thing or being can be deduced from the function which it alone can perform. For Aristotle, the function of human beings is the function which only human beings can perform (reason). What makes us different is also what provides our supreme good. There is also something worryingly conservative about his approach. He is inclined to succumb to the ‘just world fallacy’, imagining social relations which already exist to be rational and orderly. Something is just if it accords with nature. Something which is unnatural and unjust will not last. By implication, something which persists is both natural and just. He is criticised in the sciences for progressing too quickly from limited observed facts to over-broad deductions. It is arguable that he makes the same mistake in his political and ethical thought. Aristotle saw ethics in terms of the cultivations of ‘virtues’, or excellences. The virtues are attributes of life-activity which can be performed in particular ways. Being virtuous means performing the unique activities of humans well. Aristotle believed that people always aim for the good, but sometimes get it wrong due to ignorance. In general, he also assumes that the good falls between two extremes – it is the ‘mean’ between two vices. For example, a virtuous person should be courageous, which falls between being rash (not afraid enough) or cowardly (too afraid). This way of thinking about ethics, which was common among Ancient Greek theorists, is distinct from modern ethics in which there is a distinct area of ethical or moral activity. Virtue is simply a matter of living well; it is not distinct from the rest of life. It is not derived from an external imperative but from inner passion and drive. However, it shares with modern authoritarianisms an emphasis on the moulding or disciplining of ‘character’, the production of certain kinds of people rather than others. It is assumed that virtues are shaped by habit, and so can be inculcated by repetition – a kind of coercion to be virtuous which should later be internalised. While this model of learning is clearly inadequate next to critical psychology and pedagogy, and while it has a logical problem of circularity (how can someone know the habits they’ve been conditioned into are truly good, when their reference-points to assess them are also conditioned? ), it has the advantage of recognising that social construction and practice, rather than abstract belief, are central to ethical activity. When applied, it tends to involve the restriction of experience and the moulding of social action to produce models deemed desirable. People who are different are deemed to have ‘defective’ character. Aristotle’s best-known work of ethical theory is the Nichomachean Ethics. In this theory, he provides an outline of what he thinks a good life entails. For Aristotle, happiness (eudaimonia – literally good-spiritedness; also meaning ‘success’ or ‘flourishing’) is the ultimate goal of human life. This idea should not be confused with today’s ideas of happiness. Aristotle is not talking about pleasure or satisfaction. In fact, he specifically contrasts happiness to pleasure (Another group of Greek philosophers, the Epicureans, saw pleasure as the sole or main good in life). Furthermore, happiness is an activity, not a state of being or feeling. Both happiness and pleasure are examples of energeia, and as such, are activities rather than states of being. This theory is derived from Aristotle’s essentialism. He maintains that the world is divided into distinct types of things, each expressing a timeless essence. The human essence is different from all the others. The best thing in it is our virtue, and especially our reason. To fully act on what we are, for Aristotle, means to bring into the world our essence, and especially its best part. The deduction here is that reason is especially important because it is our essence, as humans. It is our essence because it is what sets us aside from other kinds of beings. It is also what brings us closest to the gods. Of course, this also means that the highest expression of humanity as such is the philosopher, who goes furthest in exercising reason. Eudaimonia means striving towards, or trying to act in accord with, one’s daimon – one’s true or best self. One might associate this with the neoliberal slogan ‘be the best you can be’. 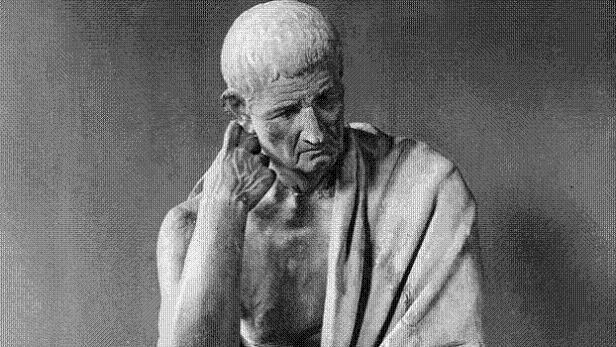 It is sometimes argued that Aristotle is reserving the term for an unattained ideal, reclassifying what was deemed happy in his day (or today) in relation to this ideal. It is taken to involve the satisfaction of desires, but of the deepest or truest desires, rather than superficial desires for pleasure or recognition. It also has implications both of faring well (a happy, or fortunate, circumstance) and behaving well. What about the fact that people have different individual experiences of self-actualisation? For Aristotle, we can arrive at a true account of what counts as happiness by starting from the experience of the ‘good man’ with normal experiences. This account is taken as true – as closest to the essence. Other experiences which deviate from it can be dismissed as ‘ruined’ or ‘spoilt’, perverted from self-actualisation in its true course. A person who rejects this true goal of human existence is deemed to be acting in an unfree way, like a slave or an animal. Paradoxically, people are only viewed as free if they conform to Aristotle’s view of what they should be doing! One of the unusual characteristics of this approach is that it derives a strongly moral stance from a formally egoistic method. Aristotle does not argue that people have a duty to develop eudaimonia in order to respect others. It has a purely inner derivation: people should develop it because it is their own highest good. Yet the actions it requires are often other-regarding. It requires such things as listening to other people. This is believed to be justified because it realises one’s own deepest essence – not for external reasons which restrict and constrain the self. Things would work out fine if only people took proper care of themselves. They don’t also need to be altruistic to be virtuous. In some respects, Aristotle foreshadows the idea of self-actualisation. He takes the view that people are most fulfilled in realising an inner drive towards a particular kind of activity. This is similar to the approach taken later by Hegel and Marx, and explains why they believe it to be possible for people to be fully self-actualised and also social at the same time. Happiness is maximised by acting in a virtuous way. However, it is up to each person to act in a virtuous way. While there are many ways of exercising virtue, a special place is accorded to philosophy as the highest activity of reason. Aristotle sees actualisation arising most fully via rational contemplation. People should approximate as closely as they can the ideal of a life of pure contemplation. However, Aristotle also insists that the dispositions leading to virtue can only be acquired at first through habit. Therefore, a community promoting virtue is necessary for individuals to realise their own inner good. Justice is unusual among the virtues because it is relational rather than inner. And interestingly, thumos, the spiritual cause of anger, is not considered either an emotion (in the negative sense of distorting judgements), or as something bad. It is seen as prone to follow the rational will and as a necessary part of virtue. Aristotle’s political theory is deduced from his ethical theory, and is a way of providing the kind of community he thinks people need to realise eudaimonia or self-actualisation. His entire approach is heavily inflected by the idea that processes are driven by their goals. Just as individuals have a highest good, so the polis (city-state, or political entity) has a highest good it exists to fulfil. For Aristotle, human beings’ essence as a political animal is fulfilled only by living as citizens in a certain type of state. This is a necessary part of the good life. However, it is ultimately functional. The ultimate aim of human life is eudaimonia. Therefore, politics exists only to maximise the opportunity for eudaimonia. The best kind of political regime is the kind in which people can most easily reach eudaimonia, or the ‘best possible life’. A city-state is a partnership to realise this good. Even if it originally came from physical needs, it persists because it provides opportunities to exercise one’s social nature, to discuss justice, and to pursue the goal of living well. This view differentiates Aristotle strongly from the social contract tradition, in that aspiration rather than fear grounds political community. Although this good is the goal of the city, it does not seem to stop Aristotle viewing the city as primary over its citizens, who ultimately belong to the city and not to themselves. The deduction seems to be that, although the good of eudaimonia is individual, it can only be actualised collectively, and therefore, its collective actualisation has priority over individual goals, which are necessarily lesser than this higher goal. The city is self-sufficient in providing eudaimonia, whereas each person is not. He also thinks people need to be politically ruled so as not to act in bad ways. This underlying end or goal determines how the political system should be arranged. For instance, education should be organised so as to hone the right habits to be able to achieve eudaimonia later on. It is taken to be the primary goal of legislation. Aristotle emphasises four subjects: letters (literacy), gymnastics (physical education), music and drawing. Music is emphasised as a way to learn how to use leisure time well. The aim is not utility above all but to gain the ability to learn. This model is a forerunner of later humanistic approaches to education, particularly in the importance attached to literacy and the arts. Aristotle also has a very controlling side in this regard, however, being very concerned that children be kept away from supposed bad influences. Anything associated with labour an the ‘vulgar’ is avoided. Aristotle believes that the identity of a people is determined by its constitution. After a revolution, for instance, a state actually changes in identity and can’t be held responsible for what went before. He argues for a variety of oligarchic democracy in which the laws have priority over the rulers (rather than rule by decree), and argues for an early theory of meritocracy, with citizens rewarded for their contributions to the state. He believes in a separation between three branches of government – deliberative, executive and judicial. These are roughly equivalent to politicians, bureaucrats and judges. There are six types of regime according to Aristotle. Polity/democracy exists when the majority, or the poor, have authority to rule. Aristocracy/oligarchy exists when the rich or high-born have authority to rule, even if the majority also have some authority. Kingship/tyranny exist when one person monopolises rule. Each category is divided into an orderly and deviant subtype, the former characterised by rule for the good of the city-state, the latter by rule by the ruling group or ruler for their own benefit. A good political regime should pursue common advantage. Aristotle considers as bad regimes all of those which favour the rulers over other groups, whether the ruler is a King, an elite or the majority. Hence for instance, a regime can be ‘too’ democratic, turning the people into a tyrant over the elites. He believes every group (a king, an elite or the multitude) is prone towards self-bias, ignoring the just claims of others. Therefore, a just regime will balance power between them. The function or end of the citizen is to contribute to preserving a particular regime. A good citizen should be able to rule or be ruled. However, the virtues of a good man and a good citizen only coincide if the regime approximates being a good regime. In other words, it is not good to be a good citizen in a bad regime. Compared to today’s liberals and reactionaries, Aristotle is surprisingly forthright about this: in an unjust regime, laws become bad laws which no longer deserve obedience, and the regime no longer deserves good citizens. Aristotle is sometimes taken to be a communitarian, putting the welfare of the community above that of the individual. It is more accurate to say that he does not recognise the distinction between the two: individual welfare is taken to be actualised in public life. Aristotle was also highly critical of merchants and trade, arguing that the acquisition of property should not be taken too seriously, and that money simply symbolises wealth – it is not wealth in itself. People should put their own and their family’s virtue before the acquisition of wealth. The main problem he sees with democracy is that it defines freedom badly, neglecting the importance of virtue. Democrats believe everyone should have a share in ruling, and generally dislike being ruled over by others. They tend to produce a world where one can ‘live as one wants’. In other words, democracy tends to get rid of authority. Furthermore, the poor have a sense of justice in which they do not recognise wealth inequality as based on merit. Aristotle is particularly worried about what happens if the largest group are poor labourers. He is very concerned that wealth not be redistributed from the rich, and that access of the poor to the courts and assemblies be limited to some degree (though not entirely). He thinks democracy leads to people living as they want, towards ends of their own choosing. This is taken to be bad for two reasons: it stops people aspiring to the one true end, eudaimonia, meaning people are not ‘truly’ free, but rather, enslaved to their base impulses; and it undermines the preservation of the regime, and therefore the preservation of true freedom (i.e. of the ability to achieve eudaimonia). It can be argued that Aristotle has authoritarian tendencies, which can be traced directly to his belief in a single, essential, knowable ‘end’ for human life which can legitimately be imposed. 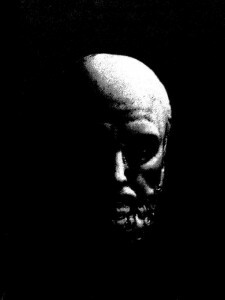 Analytical philosopher Jonathan Barnes goes as far as to describe Aristotle as totalitarian. While this reading of Aristotle echoes liberal criticisms of ‘positive freedom’, advanced by the likes of Popper and Berlin against Marx, it can also be applied as a critique of the current neoliberal world-system. The characteristics Aristotle ascribes to democracy are largely those which today would be ascribed to the ‘wrong’ kind of social movements – to autonomous social movements, popular democracy, anarchism and so on – which tend to produce a world where people ‘do what they want’, ends are established by individuals or small groups or by the multitude, wealth is redistributed because inequality seems unfair to the poor, and the centralised idea of the good is corroded. Today, ‘democracy’ is often used to refer to regimes in which, in fact, oligarchic power is the norm, or oligarchy is mixed with democracy – the rich rule in practice, office-holders are mainly from the elite, redistribution is decisively off the agenda, access to the courts and other means of grievance is limited by cost, the pursuit of one’s own ends or beliefs if harshly curtailed by draconian means of control for the ostensible ‘public’ good defined by the elite (e.g. ‘security’ against ‘terrorism’). Aristotle is thus more honest than today’s right-wingers: he admits to being against democracy, whereas today’s right-wingers pretend to be defending democracy from something else. And the arguments which Aristotle advances against democracy, are the same arguments used to preserve ‘low-intensity democracy’ from any deepening of democratisation. Despite his awareness of class struggle, Aristotle is ultimately a ‘consensus’ rather than ‘conflict’ theorist. He sees the social whole as a set of complementary groups with different functions in social life. He seeks to harmonise their functions, rather than seeing their conflicts as insoluble. He also prefers that political communities be made up of people who are similar. Aristotle’s aim is that the city act on behalf of its final end, and therefore act as a whole. He believes each part of the city has a different, partial grasp of justice, and the truth is somewhere inbetween them. Where they disagree, they can produce factional conflict and revolution. In particular, there tend to be conflicts between the elite, who want meritocracy, and the mass, who want equality based on numbers. Aristotle’s political science is directed at preventing factional conflict. He discusses a variety of causes (from fear of punishment for injustice, to reactions against a corrupt or over-powerful ruling group), and different processes (for instance, small changes culminating in revolution). In democracies, the danger of revolution mainly comes from demagogy, or the activities of irresponsible popular rulers. In some cases, a ruler, such as a general, can set themselves up as a tyrant. In other systems, revolutions often occur because of the mistreatment of the multitude, restrictions on access to power, the treatment of subordinates as slaves rather than free people, or deviations from the justice of the regime. In line with his just-world bias, Aristotle assumes that a good regime will not be beset by revolution, in contrast to claims that revolutions occur cyclically. Aristotle proposes a set of strategies to reduce what he sees as the major dangers to regime stability: corruption and factional conflict. He advocates enforcement of laws, but also an attempt to act justly towards the disempowered multitude (or in a democracy, to avoid dispossessing the rich). It should be made difficult or impossible to profit from political offices, so poor people don’t seek power as a means to enrichment. Public offices should seem a ‘burden’ to avoid their being a source of jealousy – they might even be restricted to the rich. Concentrations of power in one person’s hands should be avoided, as they cause corruption. The group excluded from power need to be guaranteed equality or even precedence in status. The poor should have opportunities to become rich. A more unusual proposal is that education should be out of joint with the nature of the regime: oligarchic education in a democracy, or democratic education in an oligarchy. This is to keep either regime from producing its more extreme variants by creating a counterbalancing force. It is to make people alert to the justice-claims of the out-group, rather than those represented by the regime. This is because the regime’s view of justice is necessarily partial. This view is the opposite of that promoted by the likes of Blair and Cameron, and one can see that, while Aristotle is using education as an ‘ideological state apparatus’ to produce particular effects, he does not see these effects in terms of promoting the regime’s ideology. Its main purpose is to make people open to the claims of excluded groups, hence avoiding factional conflict and revolution. It therefore makes people good citizens, not in the sense of adhering to the official ideology, but in the sense of preserving regime stability through dialogue with opposing viewpoints. He is also often credited as the founder of the argument that a large middle-class is needed to preserve democracy and stability. This is because the class struggle between rich and poor otherwise has a destabilising effect. Aristotle believed the middle-class needed to be pre-eminent for a regime to be well-governed (this partly stems from a belief that the best point usually occurs between the extremes, at the ‘mean’). This argument is today often used by political scientists seeking to explain instability in the global South. It might also be observed that, in countries like Britain and America, increasing income differences are having destabilising effects, and that, today, democracy has been replaced by oligarchic rule by the rich. The limits to such arguments are their desituatedness in relation to social structures. For instance, instability in the South is often related to legacies of imperialism and effects of the world-system. The non-existence of a ‘middle class’ is due to models of capitalism which fail to redistribute effects of growth or provide a social wage. It is an effect rather than a cause of class struggle. Furthermore, the middle-class are not usually especially ‘virtuous’, but rather, upwardly aspirant and downwardly anxious. They have a crucial role in various extreme regime-types such as neoliberalism and fascism for these reasons. Aristotle also calls for the creation of stability by balancing rich and poor against one another. This means giving the rich more power than their numbers, but not enough power to be stronger than the poor – a mixture of oligarchy and democracy. This kind of balance is reminiscent of Keynesian/Fordist economic models. We could argue today that this kind of balance between oligarchy and democracy was preserved in post-war Europe, and has now given way to outright oligarchy with the disempowerment of the population and with growing corruption and arbitrary rule. Oh my god, I had no idea that Chinese gold farmers were interested in Aristotle!